Happy Summer Solstice! A this is the day that the Earth’s northern hemisphere receives the longest amount of sunlight during the course of the year, I thought it only appropriate to feature a pic of the Sun! 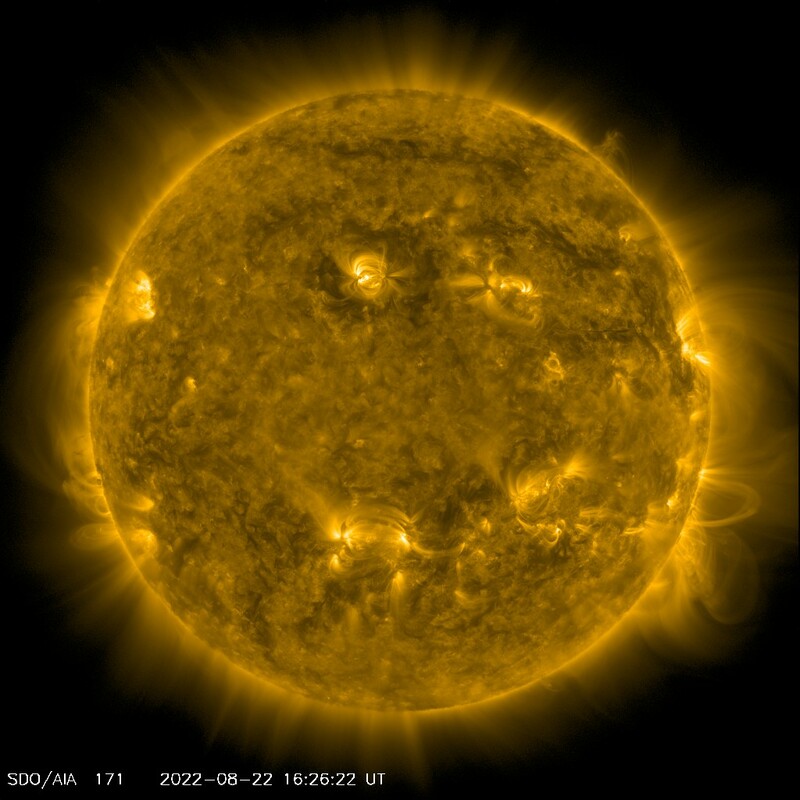 Above is a detail from a high-resolution image taken today by the Solar Dynamics Observatory showing some very lovely – and very large – coronal loops arching up from the Sun’s limb (that’s the edge of a spherical body as seen by an observer, e.g., SDO), visible in extreme ultraviolet light. Also visible is the roiling layer of the Sun’s surface called the photosphere, an area of complex and constantly-changing activity shaped by shifting magnetic fields rising from within the Sun itself. By watching the motions of these fields in various wavelengths of light researchers hope to better understand what’s happening inside the Sun and how the “space weather” it generates might affect us here on Earth. And just what makes the summer solstice so special? Sure, a longer amount of daylight is nice for farmers and beach-goers but it signifies something much more important to life on our planet: the Earth’s axial tilt. Without this, we wouldn’t have seasons at all and the layout of climate regions would be very different, and would have undoubtedly affected how life evolved on Earth in the first place. Read more on Ian O’Neill’s Discovery.com blog here. So enjoy your longest day, northern latitudiners, and to all those below the belt (equatorial, that is 😉 ) things will start looking brighter real soon. I just know it. 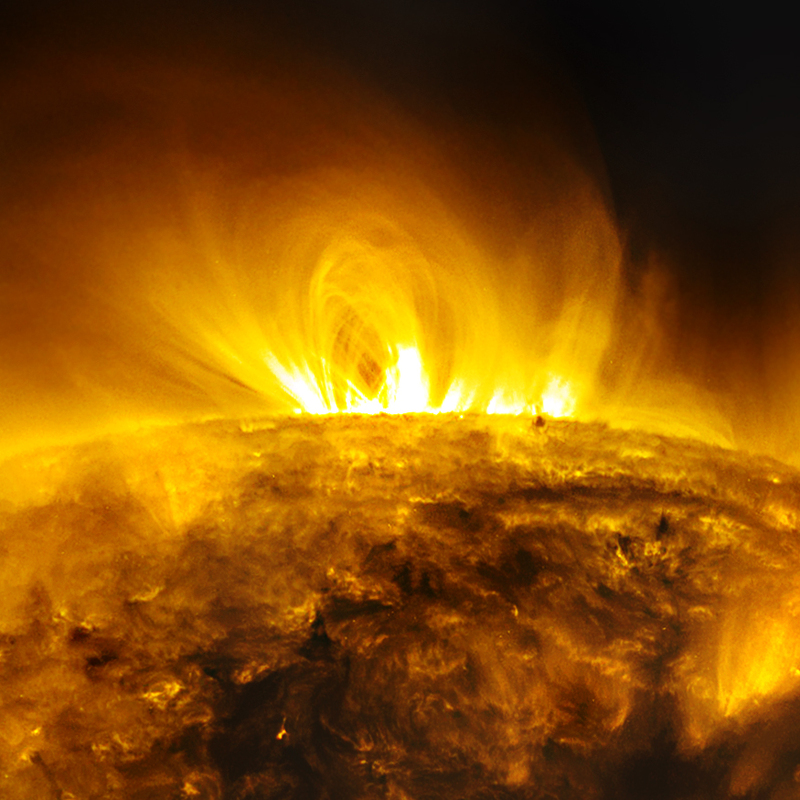 Image credit: SDO (NASA) and the AIA consortium. Edited by J. Major.